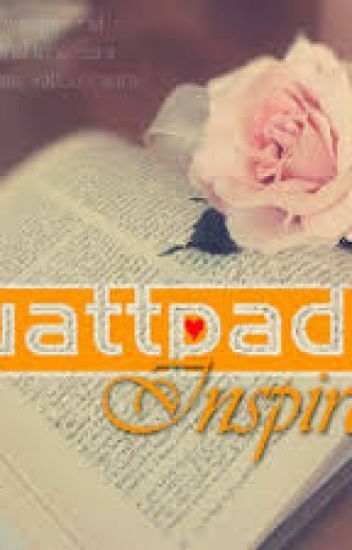 Looking for AMAZING BOOKS to read on Wattpad!!! The list of books are my absolute favourite on Wattpad. Teach me how to Flirt. Ruby Zander, a kind and free- spirited girl, unaware of the world of the supernatural, is mated to one of the strongest Alphas in the world, Alpha Evan King. Alpha  Evan, though regarded as one of the toughest, is now presented with his biggest challenge yet as he has to win Ruby's heart and claim her to be his forever. But what if that's not all there is to their story? What if Ruby is not just an ordinary, kind and free-spirited girl? What if she has powers both beyond a human and a werewolf's imagination? How will she cope with this revelation? Will the powerful Alpha be able protect her from the dangerous creatures that are after her power? .....Read on to find out! She was the sun. Her golden tresses like a gleam of yellow light and her face a golden glow. And he, the dark side of the moon. His hair as black as midnight and his eyes grey with sorrow. Yet, they fit together- like two jagged pieces of a puzzle. And they couldn't stay away, devouring each others presence like hungry predators; relishing in the pleasure of the others company. But the ending was inevitable and unstoppable. For, the darkness would always destroy the light as would the light destroy the darkness. When Emily and her cheery parents move to the city of New York, the word hectic is an understatement. In the mix of being the new girl; making new friends and breaking it off with a rather clingy ex, it all seems to be a little too much for Emily. It doesn't help that the principal has assigned her on Noah duty- the one and only violent badass of Red Grove High. Her mission? To break the BadBoy before the BadBoy breaks her. Sequel to December 31st, 2016. "The darkest nights precede the brightest days." This could be said for Amina who is suddenly thrust into the light, a year after nearly ending her life due to crushing darkness. But healing is probably just as hard as getting hurt, and she realises that she cannot do it on her own. She also realises, maybe she won't have to. With the unwavering support of her mother and the unexpected connection with a stranger who might just understand how troubled she is, she takes tentative steps towards rebirth. Rose Waters, 17, private school, valedictorian. Just ask and I will read your book and create an cover piece for it!! So a free read and cover! All we ask is for read, votes, follows, shout out (if you really love it! ), and recognition of my doing! I may have others pitch in a little to help get your book going! If you need more votes and viewers this is the perfect place to go! With a shoutout we will recommend your book to several people! Possibly giving it a read myself! So come on! Ask for one! We do covers, banners, all kinds of things! A teenage boy with silver white hair woke up by a lake with no memory of who or where he came from. As he settles into a new life and learns more about himself and the differences between him and the average human, events unfold and the truth about where he came from begins to surface, and it threatens the lives of everyone he had come in contact with since his awakening. He soon learns that some truths are better left buried. My heart bleeds out onto the canvas and I paint you a picture with my fingers.